Liverpool have reportedly 'laughed off' suggestions that Mohamed Salah could push through a move away from Anfield at the end of the season. Liverpool are reportedly planning to offer a new contract to back-up striker Divock Origi amid his impressive attitude and application whenever on the playing field. James Milner has praised recent performances of Liverpool ahead of today's huge game with Tottenham in the Premier League. Milner, who has yet to have won the league title since his move to Anfield, has been an important member of Jurgen Klopp's squad so far this campaign. Today's crunch game between Liverpool and Tottenham will arguably be the biggest game of this game week, and prior to the tie Jurgen Klopp took time to heap praise on Spurs' recent progress. Liverpool know that the club need to win to stay in touch with Man City in the Premier League title race. Liverpool are reportedly weighing up the surprise sale of midfielder Naby Keita after just one season with the club. Liverpool make the trip to the Allianz Arena to face Bayern Munich in the second leg of the Champions League round of 16 stage. 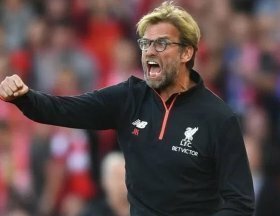 Liverpool boss Jurgen Klopp has admitted that the club are facing a few injury concerns ahead of the midweek Champions League clash against Bayern Munich on the road. Liverpool are scheduled to face Burnley in this weekend's Premier League clash at Anfield. Liverpool have reportedly moved ahead of Bayern Munich in the pursuit of RB Leipzig forward Timo Werner at the end of the ongoing campaign. Liverpool have the opportunity to return to the top of the league standings when they face Everton in the Merseyside derby on the road. Liverpool manager Jurgen Klopp has indicated that Roberto Firmino has sustained an ankle problem, though the extent of the injury has yet to be assessed.